In this piece, Brian Hancock analyzes the coming NY-Vendee Race for Open 60s after Mr. Clean went over to the Big Apple for a few hours to do some interviews and finally get that ride on Hugo Boss. They did not win the exhibition/charity race (Mich Dej/Paul Meilhat on SMA caned it), but at least the 14 stallions were able to run a little bit in a rare 8-12 knots of reliable breeze in NY Harbor, and it was a site no one has ever seen before (though as with the ACWS, New York doesn’t really give a crap). Clean’s race video is in here and SA Podcast # 6 next week will include some excellent interviews and a detailed discussion about the good, the bad, the conflict, and the controversy of the Vendee Globe – fans of solo ocean racing won’t want to miss this one. Big thanks to former “The Beat” host Katy Nastro for the production help, with photo credit to George Bekris for the shots above and below. This coming Sunday New York City will be the backdrop to one of the newest ocean races on the calendar. The New York-Vendée race is essentially a feeder race for the Vendée Globe which starts in five months from France. It will provide an opportunity for the skippers to complete their qualifying voyage in order to take part in the Vendée Globe. The turnout for this inaugural event is very good with 14 IMOCA 60s lining up for the start. Among them are the who’s who of solo sailing including previous Vendée Globe winner Vincent Riou on PRB and Armel Le Cléac’h on Banque Populaire. Le Cléac’h finished second in the last Vendée Globe and is the odds-on favorite for the next one. 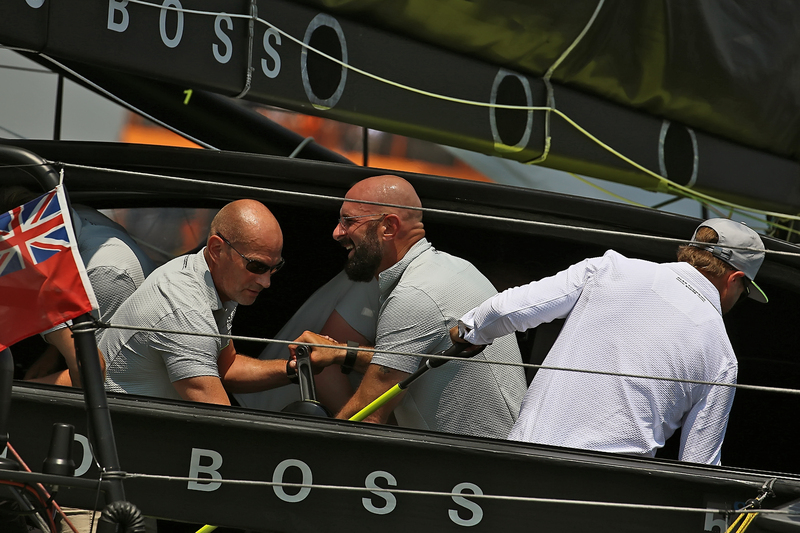 Also competing will be Alex Thomson aboard Hugo Boss. Thomson finished third in the last Vendée and is back with a brand new boat. The race starts at 14:00 EST on the Hudson River and exits the mouth of New York harbor at Sandy Hook before crossing the Atlantic to finish off Les Sable d’ Olonne on the west coast of France some 3,100 nautical miles away. It’s going to be a very interesting test for both skippers and their boats. Until now most of the head-to-head racing that they have done has been upwind. This race will be a downwind sail and designers and pundits alike will be keeping a close eye on whether those boats equipped with foils will do better than those that do not have them. 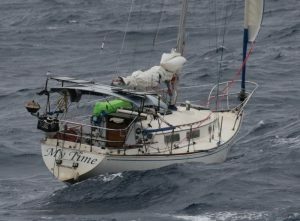 The conditions of the New York-Vendée race will be more similar to those of the Vendée Globe. Of the 14 entries, 9 are French with the rest from New Zealand, Finland [Finn Air entry has withdrawn and manned the HB pedestal with Clean all Friday -ed], the Netherlands, UK and my old friend Kojiro Shiraishi from Japan. Only Thompson from the UK stands a chance of a podium finish otherwise it’s going to be a French dominated race. The first boats are expected to arrive in Les Sable d’ Olonne in a little over a week.